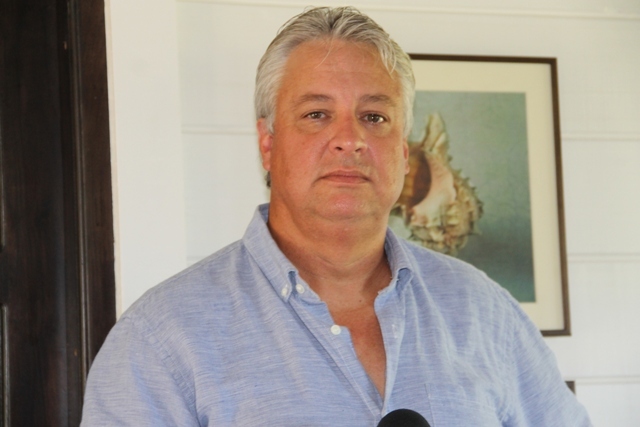 NIA CHARLESTOWN NEVIS (SEPTEMBER 28, 2015) –– General Manager of Paradise Palms at Paradise Estate Jason Molle, says the Nevis registered company is continually attracted to the island which affords them the opportunity to provide a wonderful product for relaxed Caribbean living. 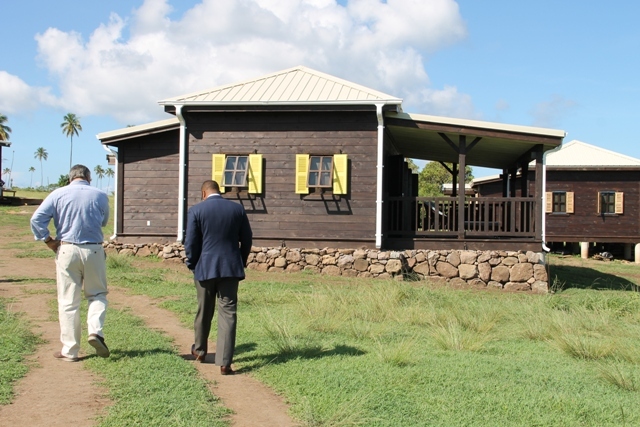 Molle made the comment on September 23, 2015, while he took Deputy Premier of Nevis and Minister of Tourism Hon. Mark Brantley on a guided tour of the property for a first-hand look at the construction progress since ground was broken for the 218 unit full service resort 10 months ago. He said the people of Nevis provide a very welcoming environment and the project is set in a beautiful location with a good product. 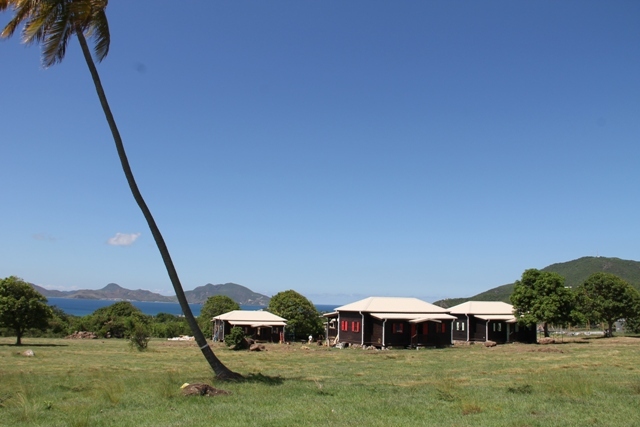 The objective of the project was to provide relaxed Caribbean living and believe they will provide it. Under Phase 1 of the project four units are completed and are ready for showcasing. Phase 2 of the project entails construction of additional one-, two- and six-bedroom units and infrastructure such as reception areas and is expected to commence by the end of 2015. Molle said, on completion, the resort would include facilities such as a gym, two restaurants, a spa, and a market. There would also be laundry services and gardening that will be required to run the resort. According to Molle, the company is preparing to launch a road show in October and November through the Middle East and China and a media package which includes an interview with the Minister of Foreign Affairs and Minister of Tourism in the NIA Hon. Mark Brantley, conducted by the company’s Director Charli Platt. “Part of the questions that are being asked and we are hoping to answer are the progress that has been made by the Citizenship by Investment such as processing: How quickly is your application is being processed? What is the expectation? What are the requirements and how has the general programme been improved under the new administration? “With this video, we expect to take it to the market and demonstrate to everyone the good progress that’s been made…so our objective is to spread the good news about progress we have made here at Paradise Palms and the progress the CIU has made in processing applications and letting everyone know we are open for business,” he said.